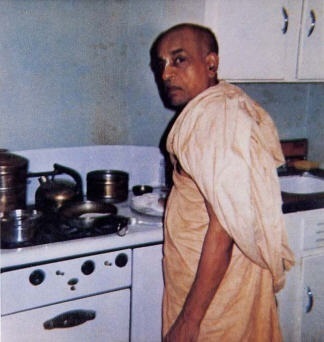 "There isn't any difference between chanting the Holy Name at the same time washing the dishes of the Temple. So do not be worried when you are attracted for doing other work in the Temple. There is variegatedness in transcendental activities. Sometimes we like to chant, sometimes we like to wash dishes. There is no difference on the Absolute plane."